On Saturday, December 12, 2009 the pulmonary medical community and patients lost their greatest advocate, hero and mentor, Dr. Tom Petty. Dr. Petty’s contributions to pulmonary medicine qualify him as the greatest pulmonary practitioner of his generation. A listing of his books, chapters, articles, videotapes runs over 50 pages but is just the beginning of his accomplishments. He designed and organized the first Pulmonary Rehabilitation program and never stopped laboring to spread this concept all over the world. At a time when COPD was a neglected condition, Dr. Petty worked to promote diagnosis and treatment. Writing prolifically, he educated patients and practitioners alike. He founded the National Lung Health Education Program that sought to promote spirometric testing as a means of early diagnosis. He utilized research generated by the space program on oxygen for astronauts when he designed the first home oxygen system, which he delivered in his 4 wheel drive jeep through the snow to his patient in the mountains of Colorado. Dr. Petty headed the groundbreaking “Nocturnal Oxygen Treatment Trial” which established our understanding of the beneficial effects of supplemental oxygen on survival and other outcomes. He chaired and was the guiding force for six National Oxygen Consensus Conferences on Long Term Oxygen that over a 20 year period was a forum for advancing oxygen therapy for pulmonary patients. Tom Petty discovered and described Adult Respiratory Distress Syndrome (ARDS) and was an active advocate of cancer screening. Dr. Petty was President and later President Emeritus of the Pulmonary Education and Research Foundation and for many years wrote a monthly Letters from Tom for the pages of its Second Wind Newsletter. 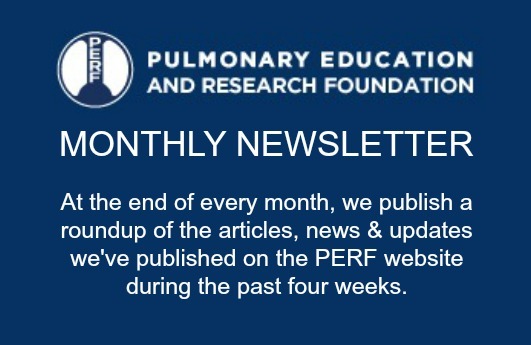 These letters are archived on this website of PERF, the Pulmonary Education and Research Foundation. Click here to access Tom Petty’s Letters. We could go on for many pages about his achievements but this could not begin to describe the essence of this great man. In spite of a towering intellect and unsurpassed work ethic he was a humble man. He liked to think of himself as a country doctor always willing to make a house call. His sense of humor, his endless jokes, and his skill at communicating to a frightened patient or a thousand of his peers at a medical symposium were unique. He was a humanitarian and a highly spiritual man. All of us involved in the pulmonary community have had our lives touched and changed for the better by this “country doctor”. He will be greatly missed, but never forgotten. In honor of our past President of PERF, Alvin Grancell changed the name of the fund he established for needy visiting foreign scientists studying in the United States to “The Tom Petty Fund for Visiting Scientists”. This is in keeping with the efforts of Dr. Petty to spread the concepts of pulmonary rehabilitation and exercise, oxygen and research around the world. The “Tom Petty Fund for Visiting Scientists” is already established and has now additional contributors. If you are interested in joining us in this tribute to our friend, Dr. Tom you may send your contribution to PERF, PO Box 1133, Lomita CA, or you can make donation online by clicking “Donate” in the top menu. We are also expecting Tom’s family to make known his suggestions for memorial contributions. However, we know times are difficult. Be assured that your prayers and appreciation for this efforts will be equally appreciated by his family and his many close friends. For anyone suffering from or caring for a loved one with a chronic respiratory disease, we recommend both of Tom’s books; Adventures Of an Oxy-Phile, and From Both Ends of the Stethoscope. Click here to visit Dr. Tom Petty’s website where you can download both books and also read several of the informative articles he wrote over his career. We also recommend you read Dr. Petty’s very popular “Letters From Tom.” His folksy style, compassionate viewpoint, and very helpful advice have helped countless patients over the years. Click here to read all of the Letters From Tom.